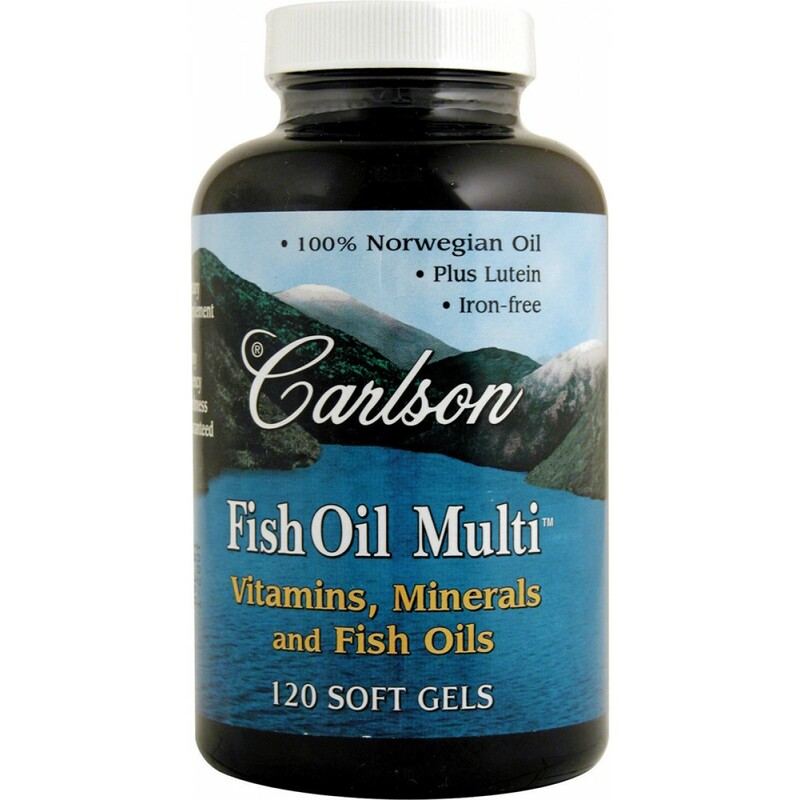 A fish oil supplement has finally been combined with a multivitamin and mineral supplement to provide a new all-in-one supplement for overall health and wellness. 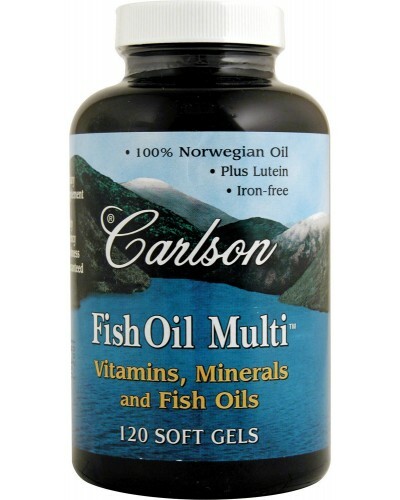 Carlson's Fish Oil Multi delivers 100% Norwegian fish oil, several key vitamins and minerals plus lutein in this iron-free super-strength formula. Try it today. Other Ingredients: Gelatin, glycerin, vegetable stearin, water, carob, beeswax, safflower oil. 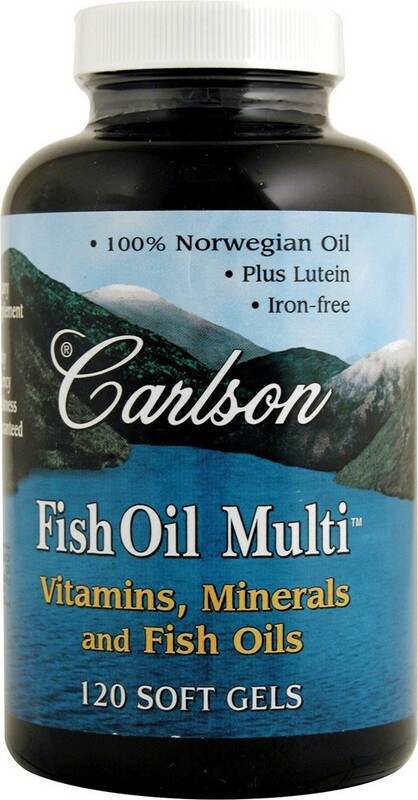 PLUS…trace amounts of naturally occurring minerals from wild Atlantic kelp and dulse including: Boron, Bromine, Cobalt, Lithium, Molybdenum, Nickel, Rubidium, Silicon, Sulfur, Titanium, Vanadium. Suggested Use: Take one soft gel daily ONLY AT MEALTIME, with a full glass of water or beverage.